Cementless hemiarthroplasty is a widely used treatment for femoral neck fractures. Intra-operative femoral fracture occasionally occurs during the procedure, and the use of cerclage wire has been proposed to stabilize both the prosthesis and the bone. 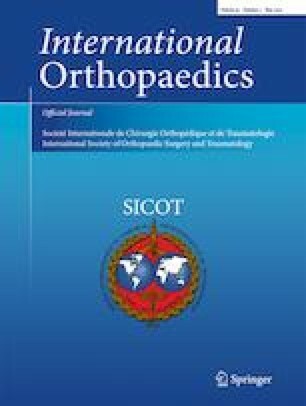 This study aimed to investigate the outcomes of cerclage wiring to manage intra-operative fractures occurring during cementless hemiarthroplasty in older patients with a femoral neck fracture. Medical records and radiographs of older patients with femoral neck fractures who underwent hemiarthroplasty during 2009 to 2015 were retrospectively reviewed. Patients who received cerclage wiring were matched with a demographically matched control group that did not. Patients were followed for at least 12 months. Functional outcomes and health-related quality of life were evaluated by determining the distance of distal stem migration, Barthel Index, EuroQol-visual analog scale (VAS), and pain-VAS. Eighty-one patients were included, comprising 27 study group and 54 control group patients. A tapered wedge-shaped femoral prosthesis was implanted in all cases. No significant differences in distance of distal stem migration or rate of stem subsidence > 2 mm were observed between the case and control groups (subsidence rate 11.1 vs. 14.8%, respectively). There was also no significant difference in functional outcomes between groups. Our results revealed a low mean distance of distal stem migration and a low subsidence rate. Functional outcomes and quality of life were similar between the two groups. Cerclage wiring technique is safe, and it should be routinely performed when intra-operative femoral fracture occurs during cementless hemiarthroplasty. The authors gratefully acknowledge Ms. Wachirapan Narktang of the Department of Orthopaedic Surgery for assistance with data collection, and Mr. Sutthipol Udompunthurak of the Division of Clinical Epidemiology, Department of Research and Development, Faculty of Medicine Siriraj Hospital, Mahidol University for assistance with statistical analysis.